Sweat more. Drink more. Be better. Sideview model wearing finished design. 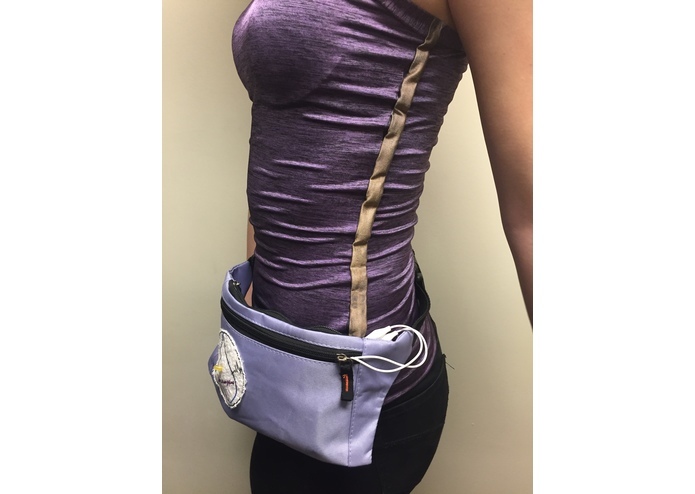 This weekend we have created electrolightup, an exercise tank top that is not only an appealing, cohesive design, but also serves an important function. When working out one must be extremely careful to avoid dehydration. Anyone who is an avid workout junkie, a member of a sports team, or a marathon runner knows the danger that dehydration poses. 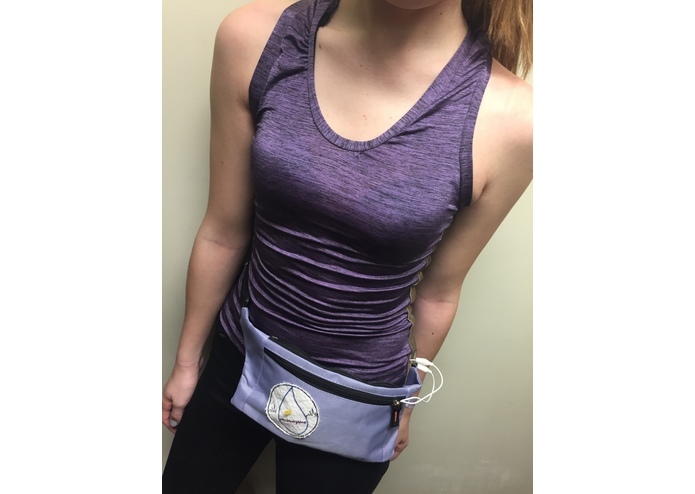 With the tank top that we have created, dehydration can be prevented. The garment has been created with a polyspandex purple jersey knit with side panels of conductive gold fabric. According to Mayo Clinic, when your body temperature rises, your eccrine glands secrete fluid onto the surface of your skin, to cool your body as it evaporates—this fluid being composed of mainly water and salt. This process takes the water from your body and slowly causes dehydration. 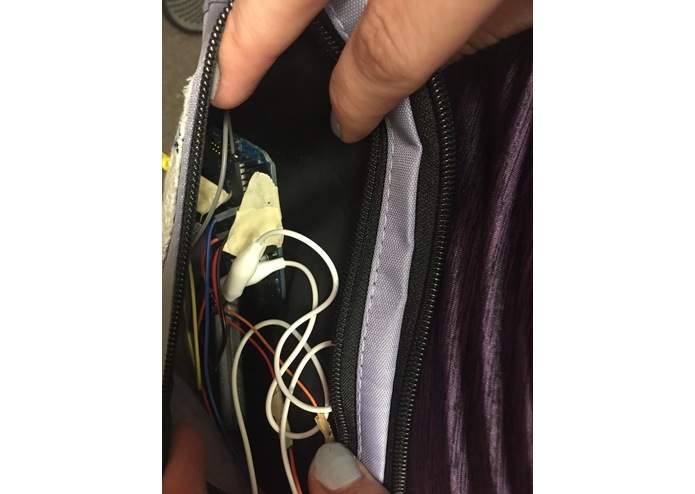 So with our design an arduino device is connected to the conductive fabric to read the voltage levels that are triggered by perspiration. 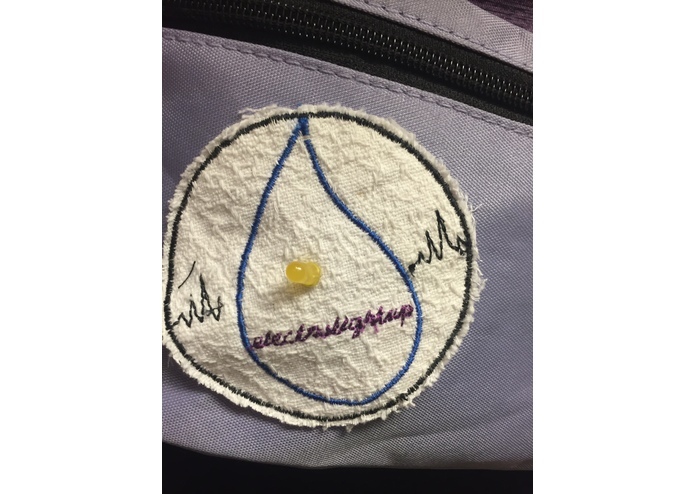 As the fabric is wetted with sweat, it creates a voltage difference that triggers the led light on a patch on the front of the exercise pouch. The yellow light on the front indicates that it is time to rehydrate. With this creation we hope to prevent the cases of hospitalization and even death that occur from exercise induced dehydration.